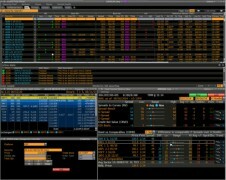 Continuing its policy of offering products that fit across user workflows, Bloomberg has moved in to the transaction reporting space in Europe. The company’s Trade Order Management System has been granted approval by the Financial Conduct Authority to report securities with an International Securities Identification Number and OTC derivatives as part of the UK’s Approved Reporting Mechanisms regime. A similar capability has been available in the US where Bloomberg has fed data on clients’ behalf to FINRA’s Trade Reporting and Compliance Engine since 2002. The Bloomberg transaction reporting service is now available as part of the normal ticketing workflow to all current users of TOMS, a fixed income and derivative transactions order management solution for the sell-side used by more than 375 internationally. The FCA ARM reporting solution uses Bloomberg market data to reduce transaction over-reporting and meet the current reporting requirement by the end of the following business day (T+1). The reporting is direct from the trade ticket so that no middleware, manual re-keying or file conversions are required, “helping to position firms for the accelerated trade reporting requirements expected in 2017 for MiFID II” says Bloomberg. Post-trade processing company Bloomberg STP Solutions and post-trade and risk specialist Traiana have begun a joint effort to develop a straight-through processing infrastructure for FX options. The partners say it will help to reduce post-trade costs for market participants, which have typically remained higher than execution costs. Orange Business Services – Trading Solutions has launched a collaboration with Bloomberg Vault that will record voice data in real time, so that brokers can better comply with regulation on record keeping.